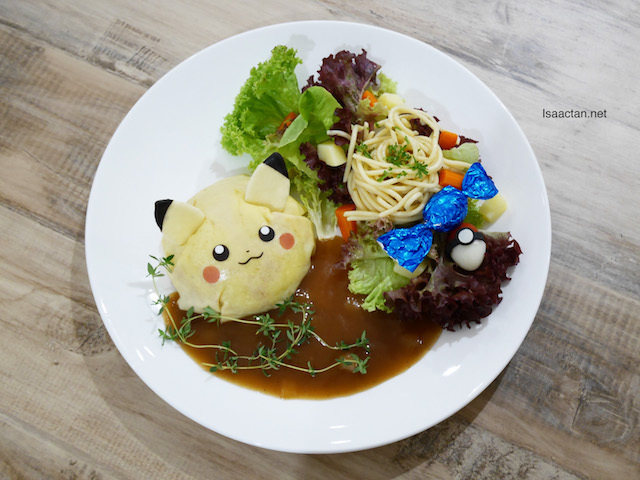 Just last evening, I had the good opportunity to try out some Pokemon themed dishes from the yet-to-open Pokemon Cafe over at Anista Tokyo AEON Mid Valley. The grand launch will be this coming 23rd November 2016, so be sure to visit them. In the meantime, read on below on some of the dishes we had the chance to try out that evening. 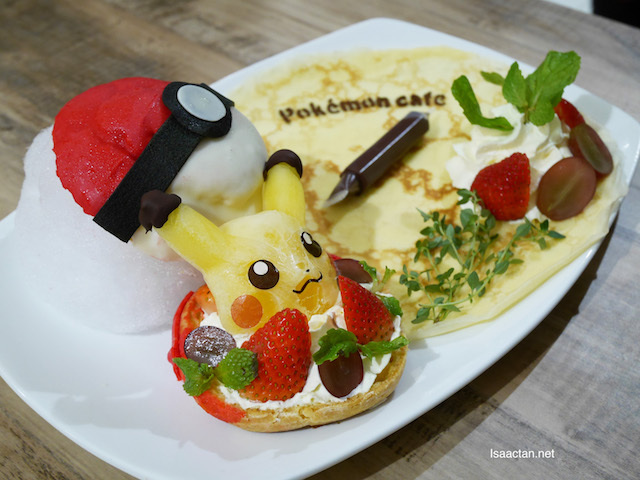 Anista Tokyo is excited to bring the Pokemon Cafe to Malaysia for a limited time. Yes, this will be a pop-up cafe, which is only open from a limited time beginning this 23rd November until 28th February next year. The pop-up cafe will feature themes from the highly anticipated Pokemon Sun and Moon game. It's definitely very kawaii! Now check out their dishes. Battle On Pikachu! Level Up with Rare Candy. 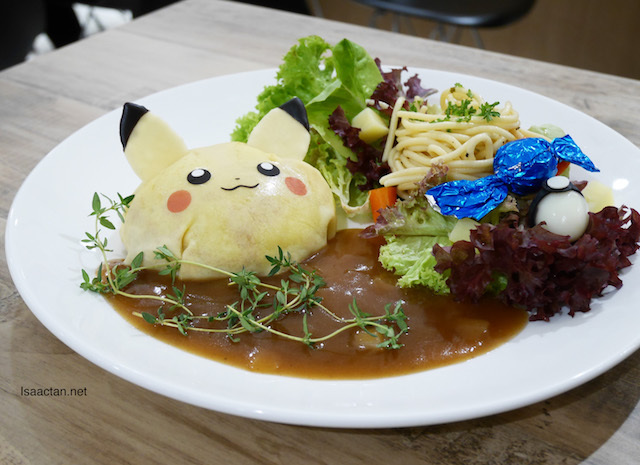 Featuring Pikachu as the main character, the food and drinks in the cafe's Original menu has been conceptualized and inspired by Pokemon characters and stories. In fact, the names itself are really unique. We had this really cute looking "Battle On Pikachu! Level Up with Rare Candy" dish, which we get to choose either having the beef or chicken version. 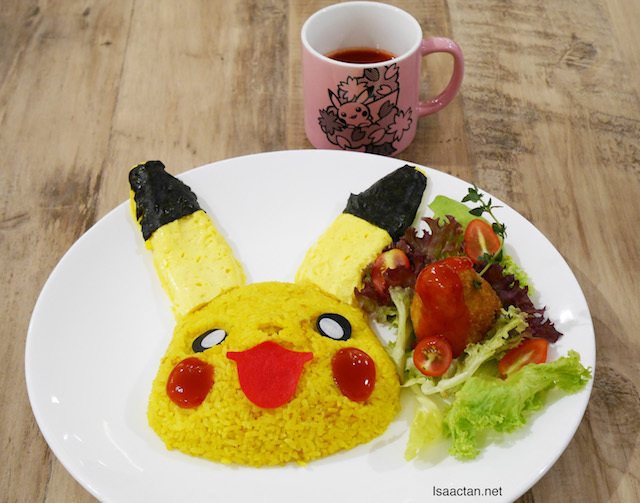 Basically a pasta dish, it had this cute Pikachu as its main arrangement. Another two cute dishes off the Pokemon Cafe menu, we had the Pokeball Cream Puff and the Pikachu Smiling Rice Omelette. Got to love the Japanese styled omelette, which is so smooth, taken with the "kunyit" rice which can be doused in red cury served in a cup. Interesting concept, which will really hit out to Pikachu fans. However, I do hope more premium ingredients could be used, considering the price isn't exactly your usual cafe prices. Order the Volt Tackle Soda and it comes with some "pop fizzle" rocks at the side, which we can put into our soda drink for that tingling feel. 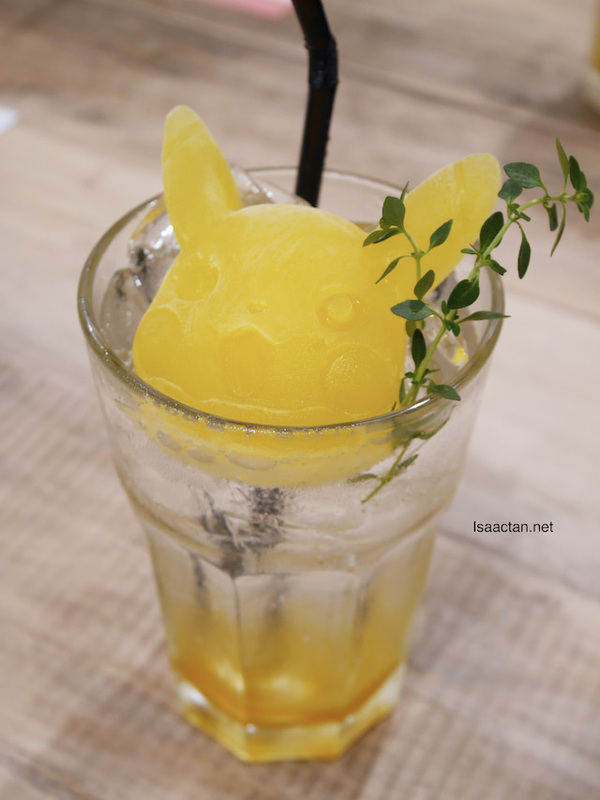 Love how there's even a Pikachu molded ice in the drink. 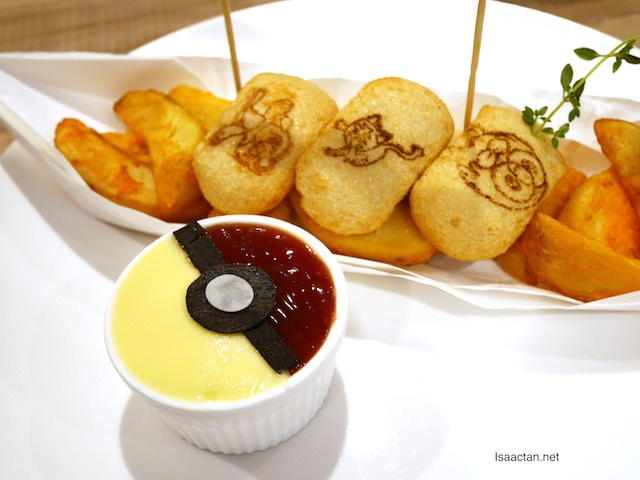 For some Pokemon themed snacks, you could try the Pokemon Cafe's fried potato which was more novelty than food if you asked me. The fried potatoes had these "fish cake" with Pokemon characters stamped on it, with a pokeball inspired sauce on the side to dip with. 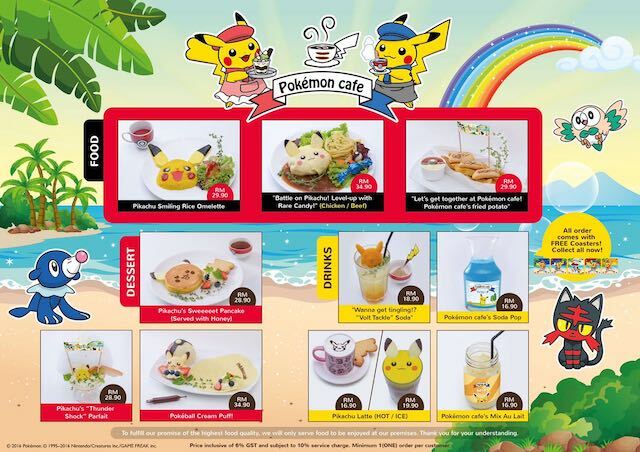 Pokemon Cafe original goods have been produced specially for the cafe with official merchandise sold exclusively at the cafe alongside other official Pokemon products. 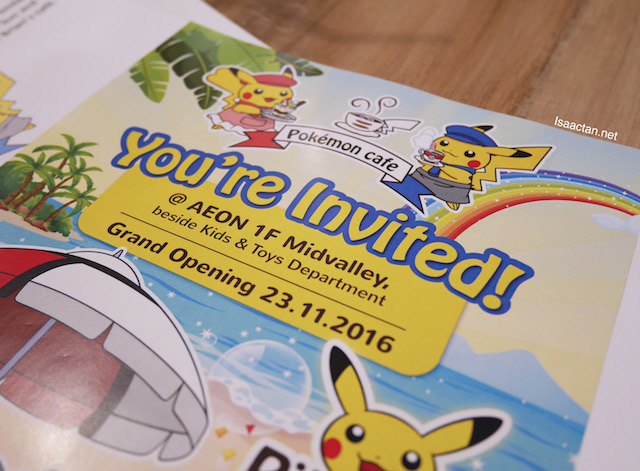 Be sure to check out their merchandise corner when you visit the 1st Pokemon Cafe In Malaysia @ Anista Tokyo AEON Mid Valley when it opens this 23rd November 2016.
are those the actual price?